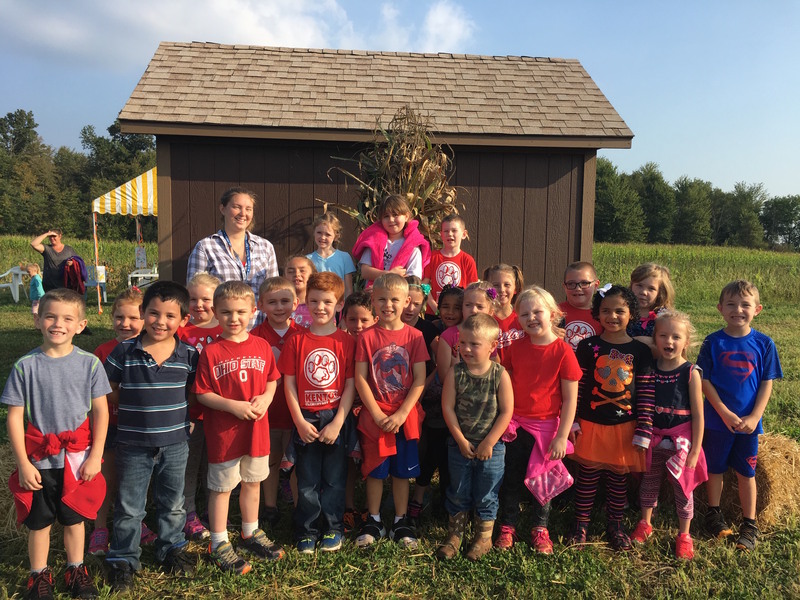 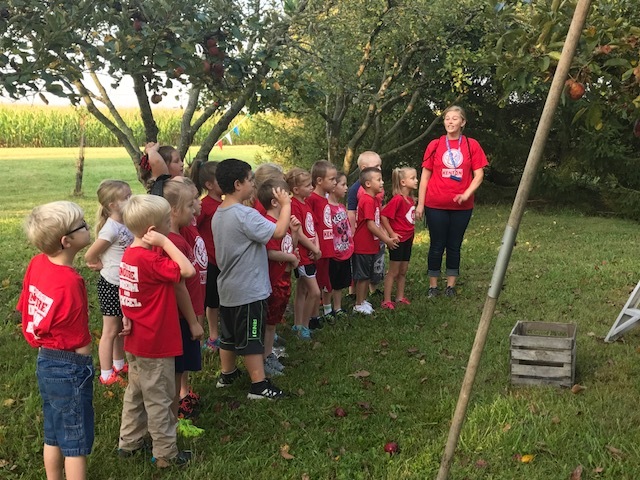 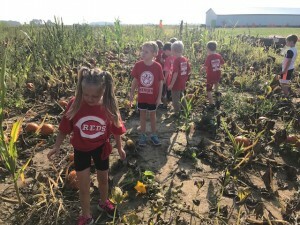 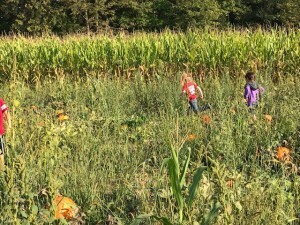 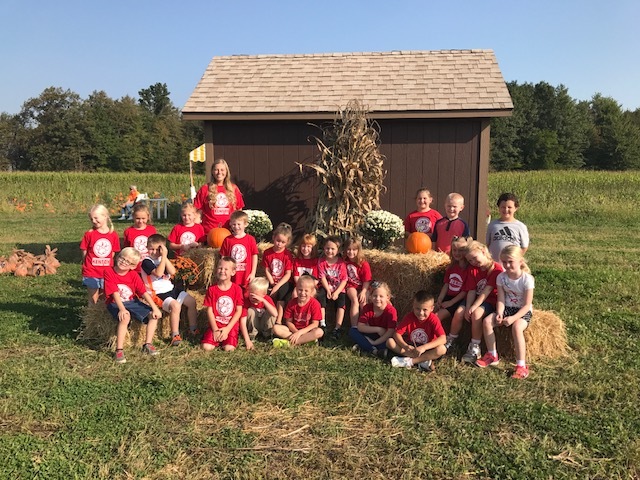 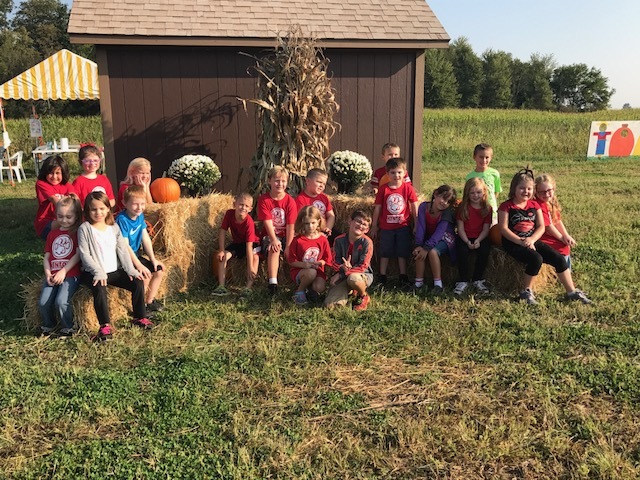 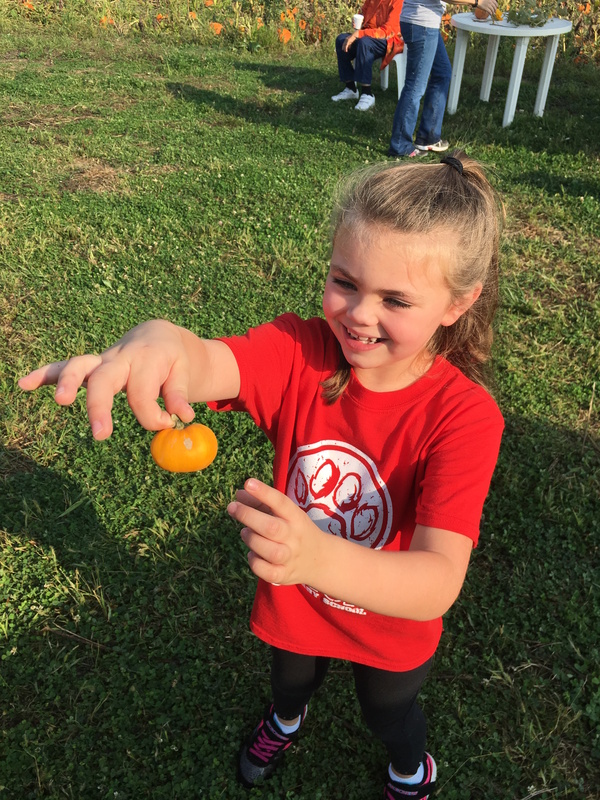 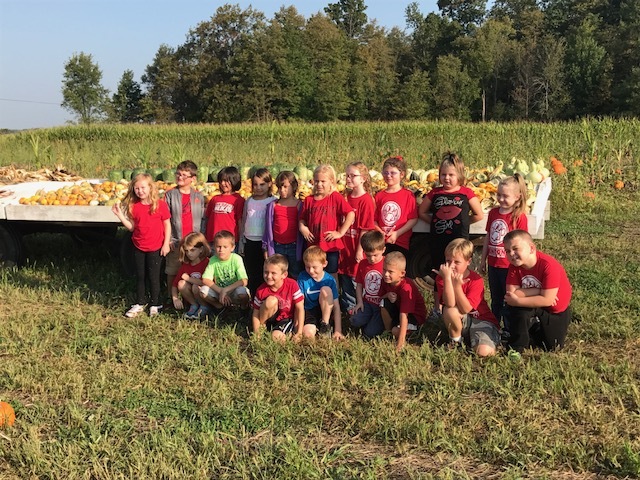 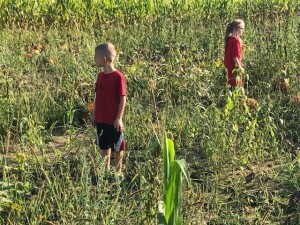 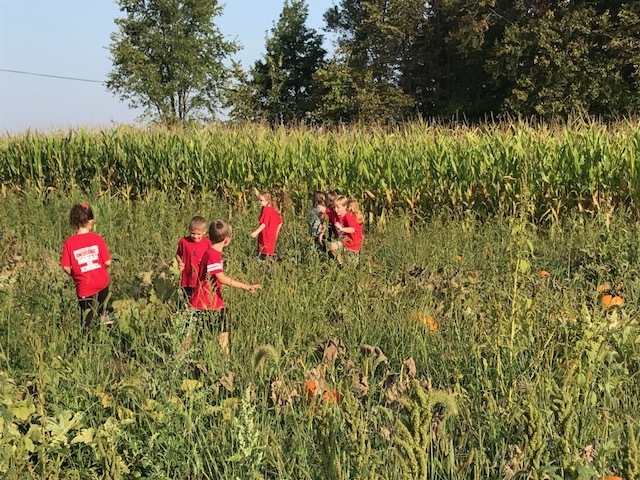 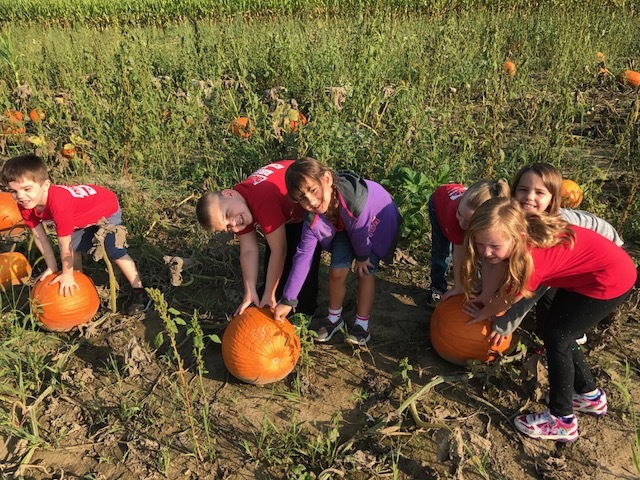 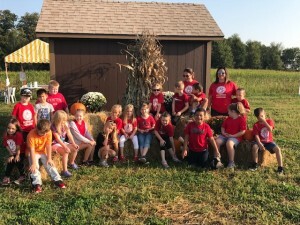 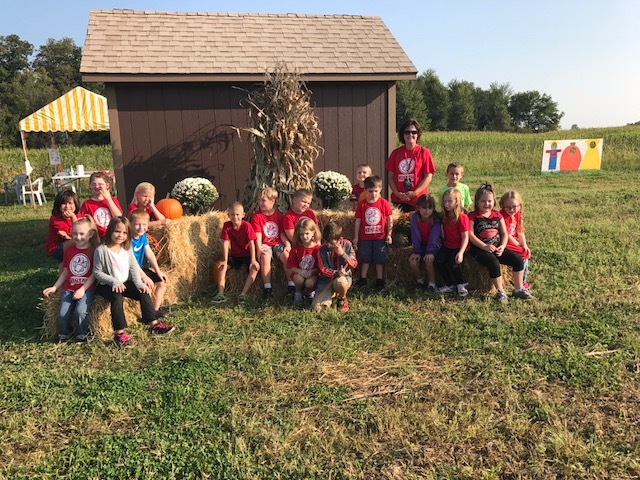 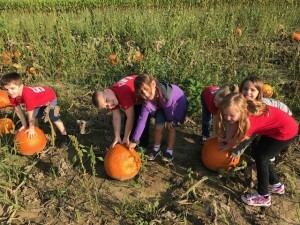 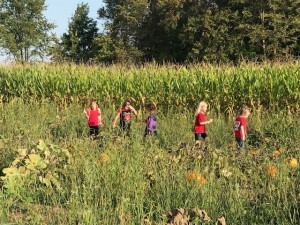 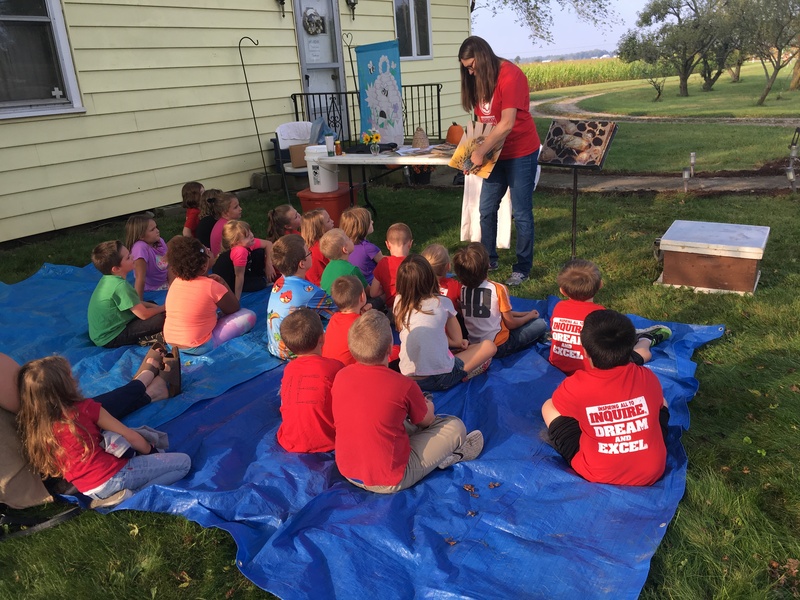 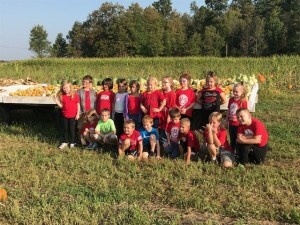 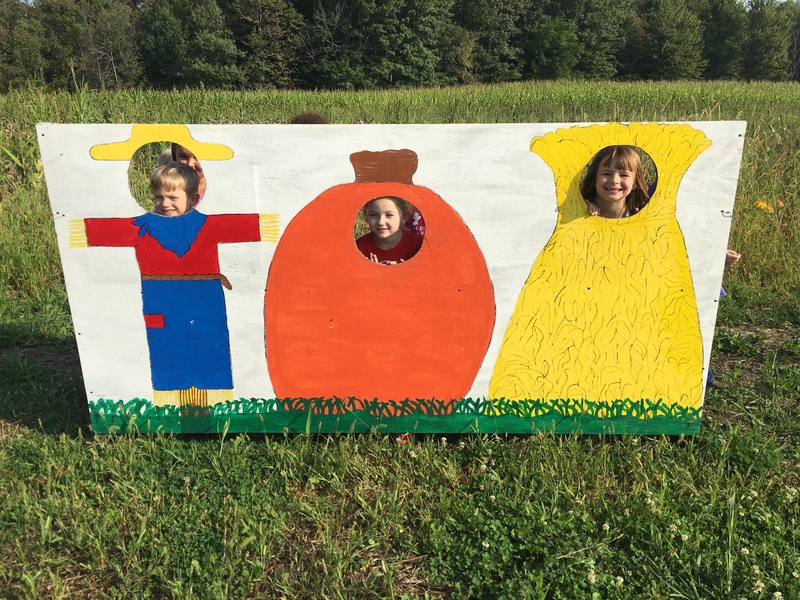 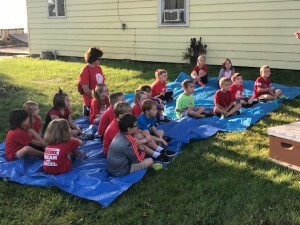 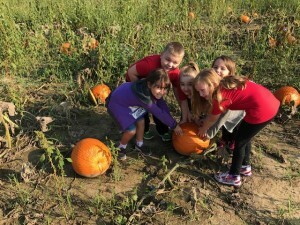 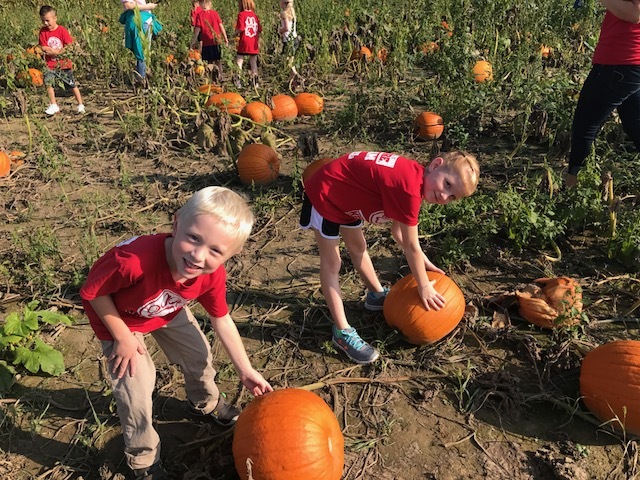 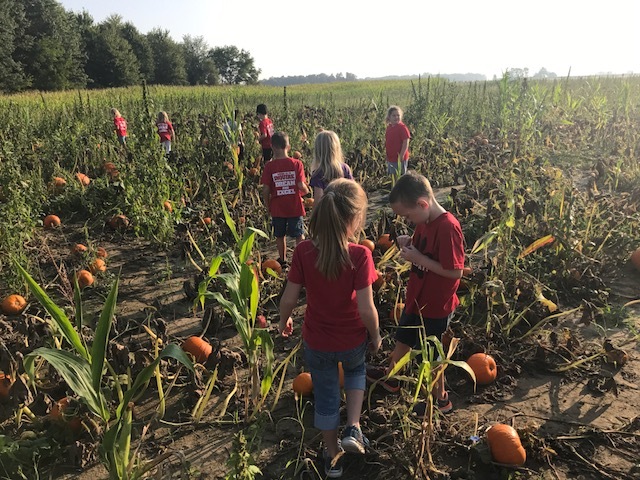 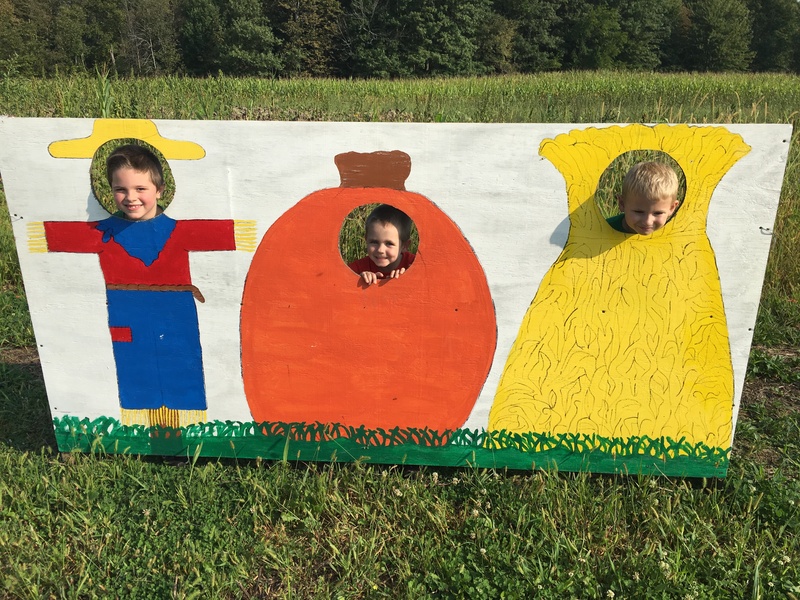 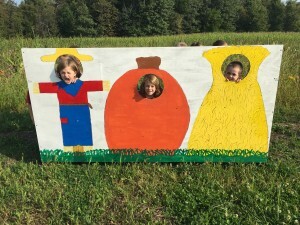 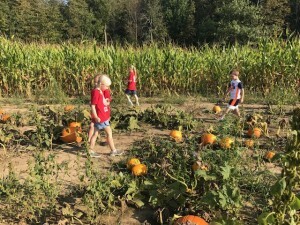 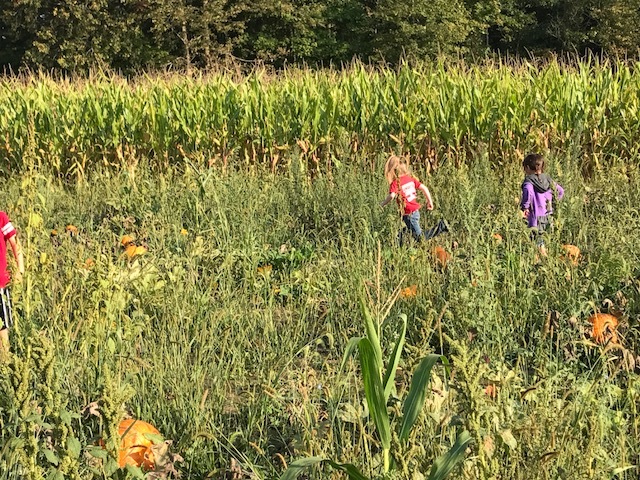 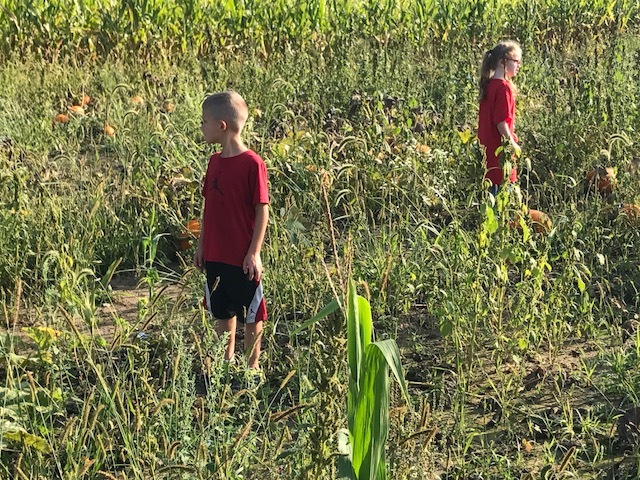 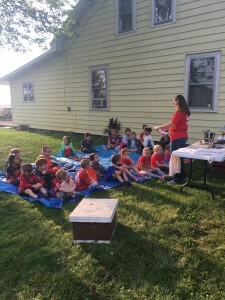 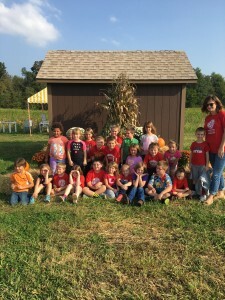 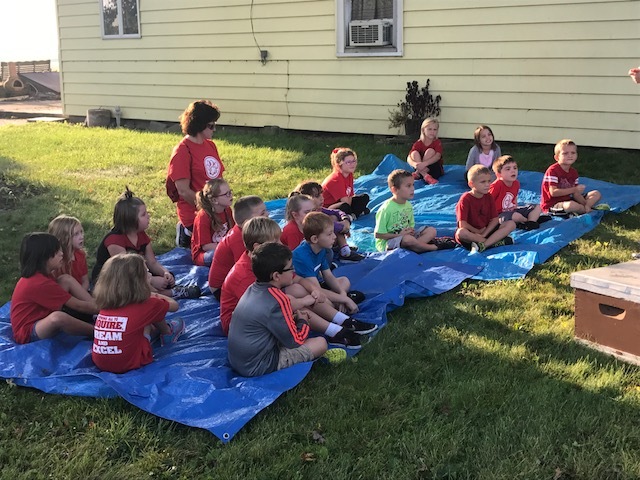 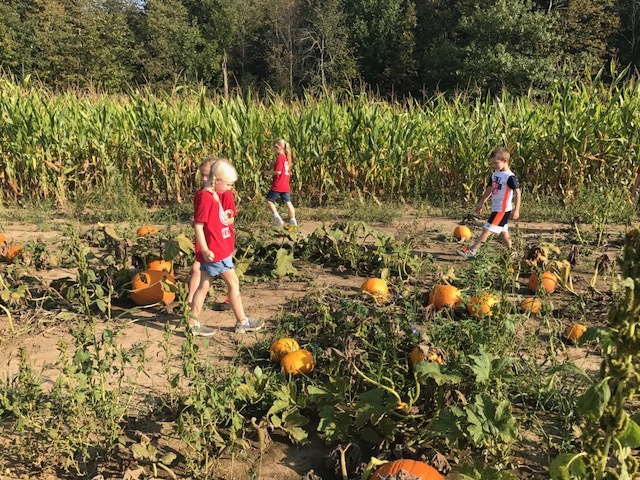 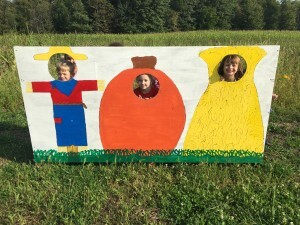 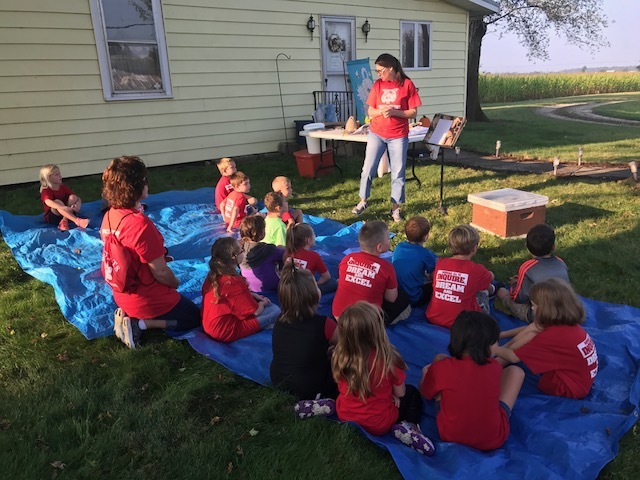 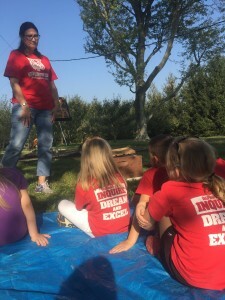 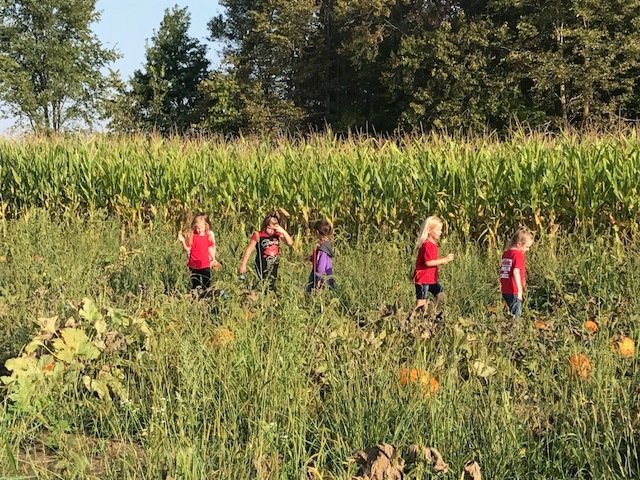 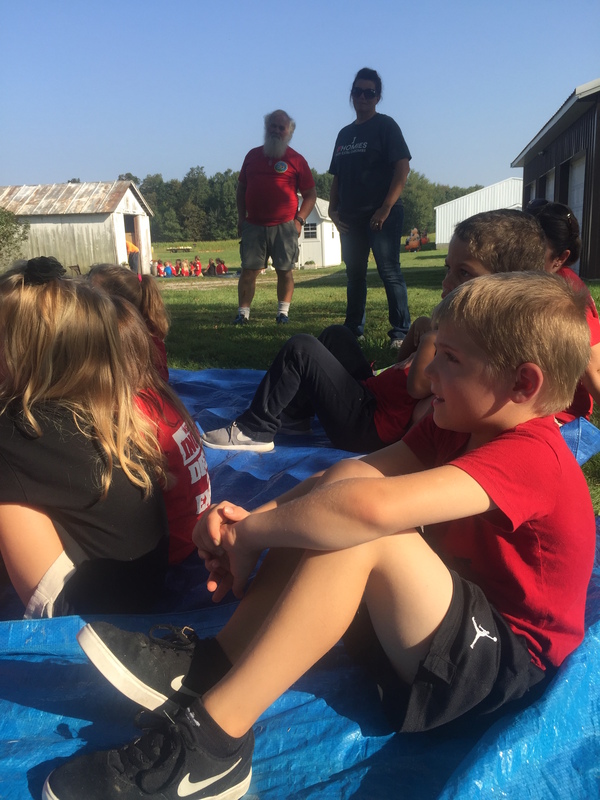 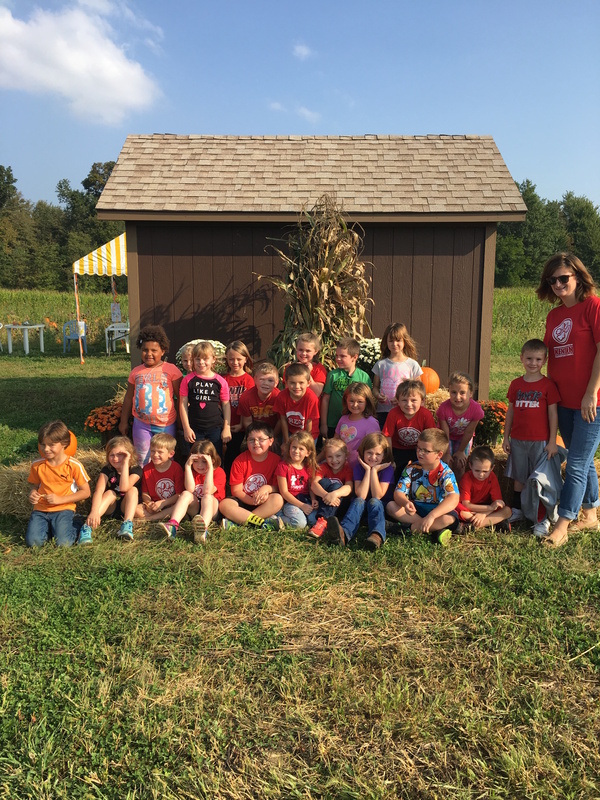 On September 21st and 22nd, first grade classes traveled to the Althauser’s Farm to learn more about living things. 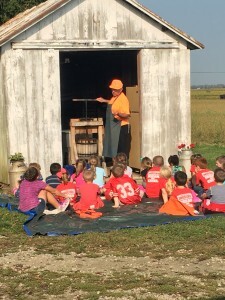 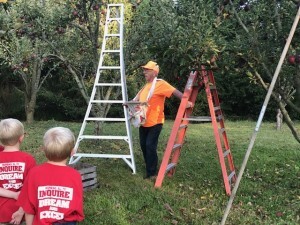 The farm had stations set up for the students to learn about the different seasonal activities and jobs on the farm. 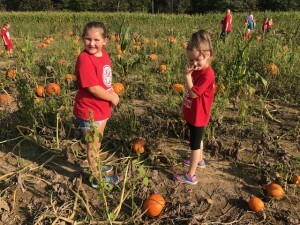 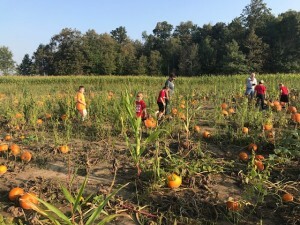 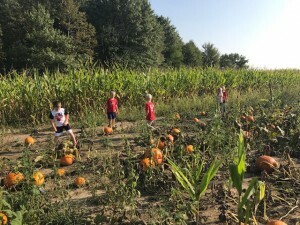 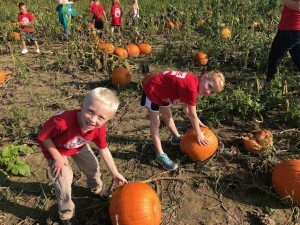 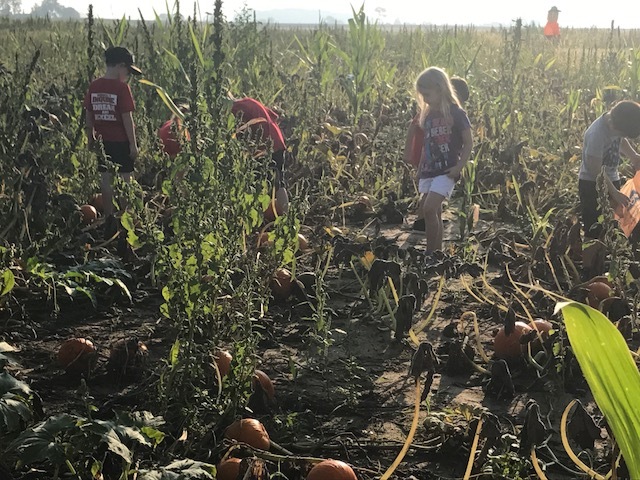 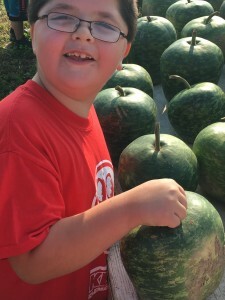 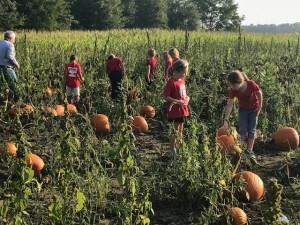 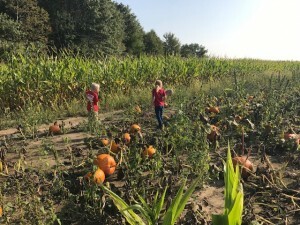 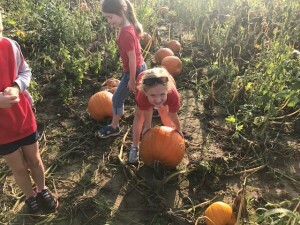 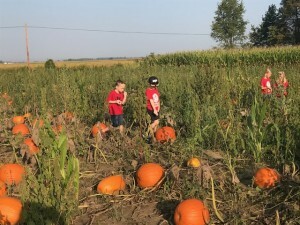 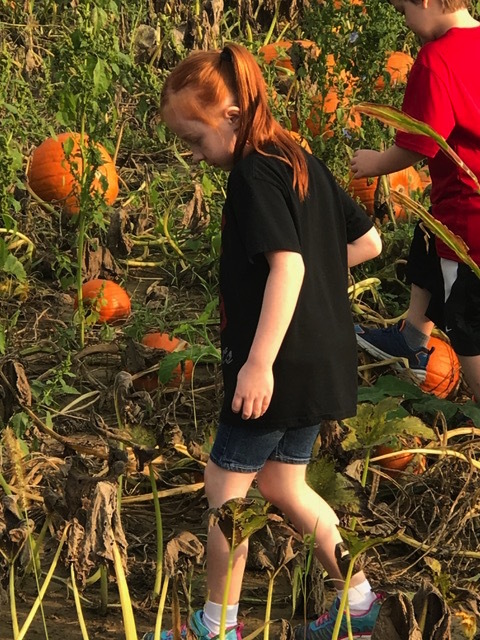 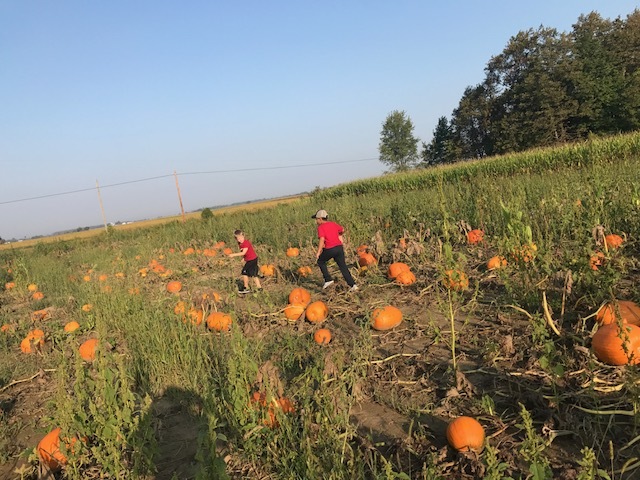 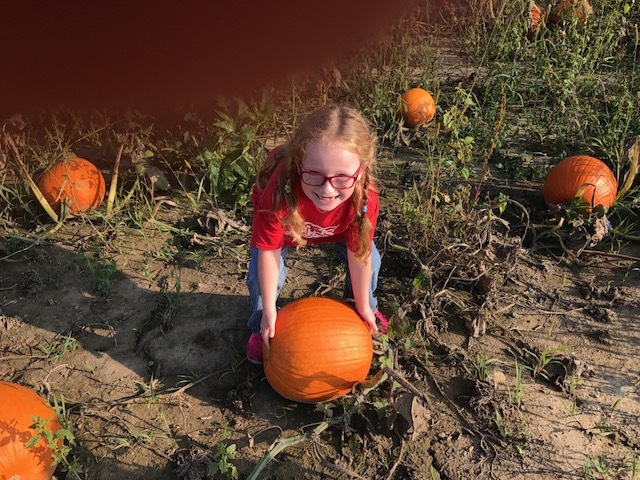 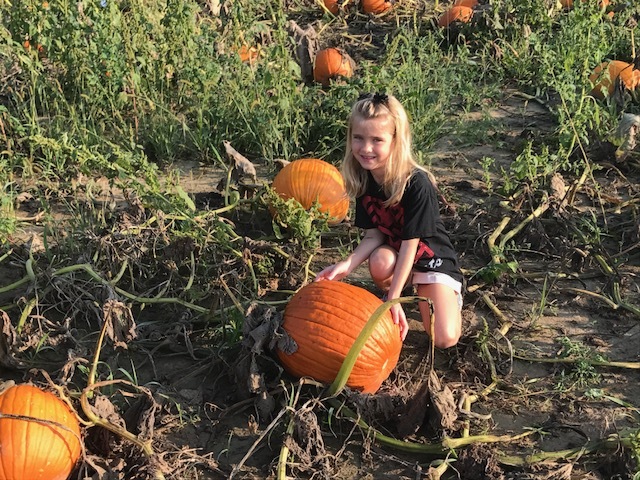 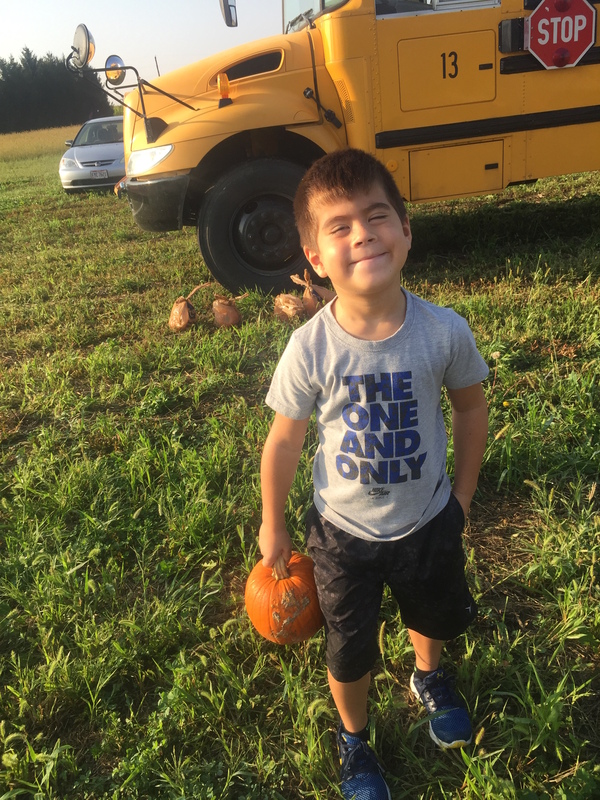 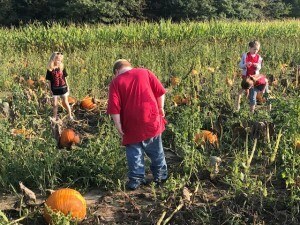 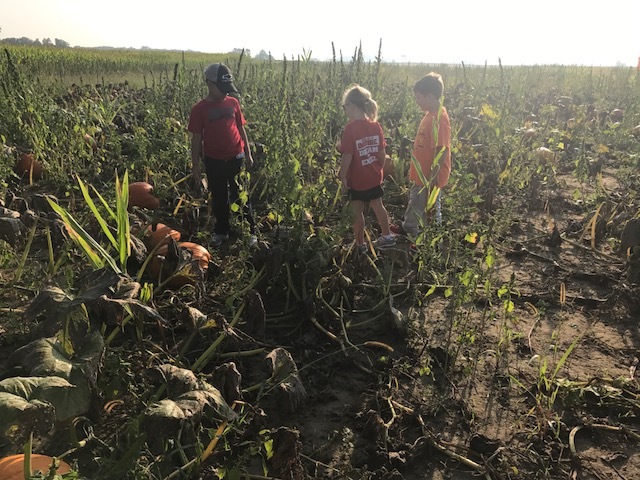 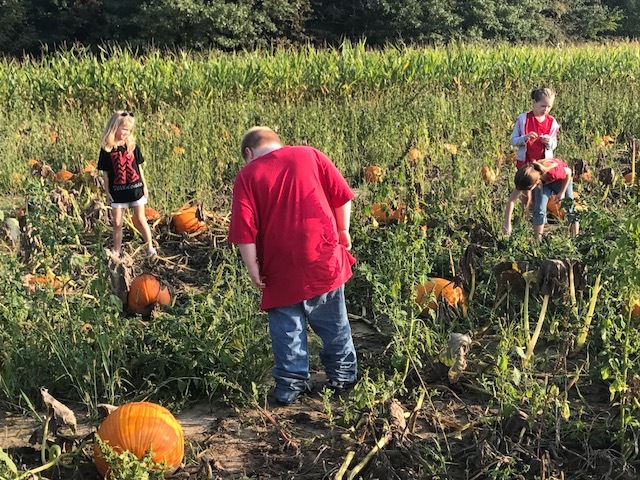 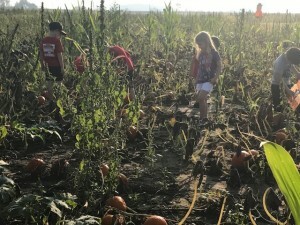 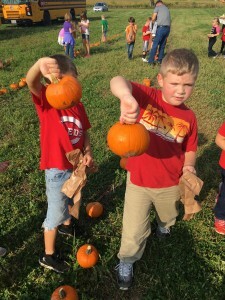 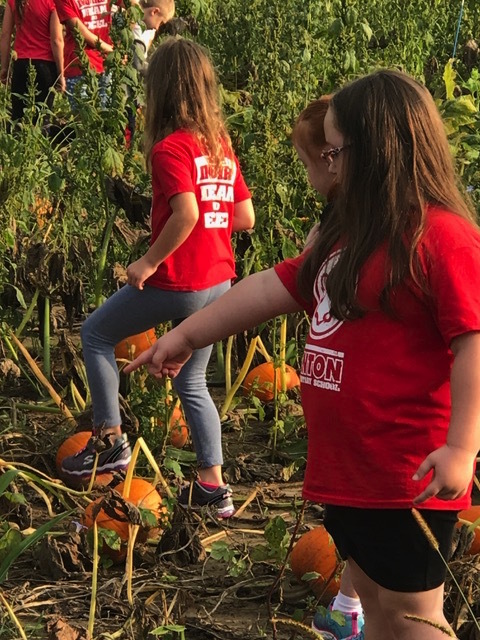 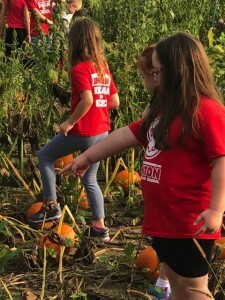 At one station, the students explored the pumpkin patch and picked a pumpkin. At another station, the students learned about honeybees and beekeepers. 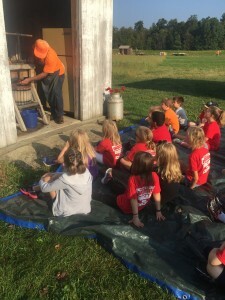 Then, the students got to taste real honey from the Althauser Farm. 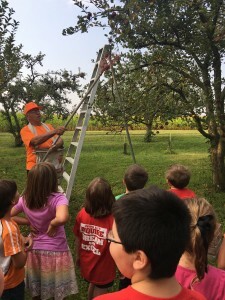 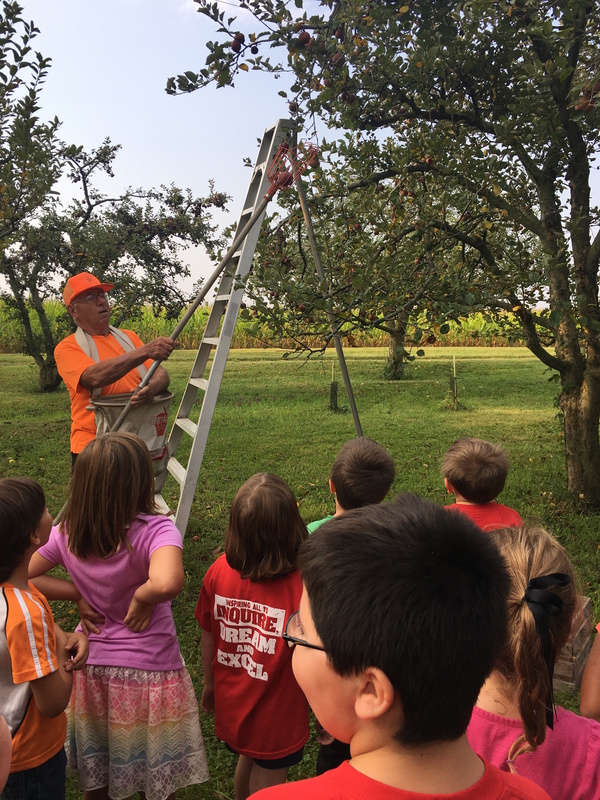 At another station, the students listened to Mr. Althauser explain how to pick apples from an apple orchard and then watched him make apple cider. 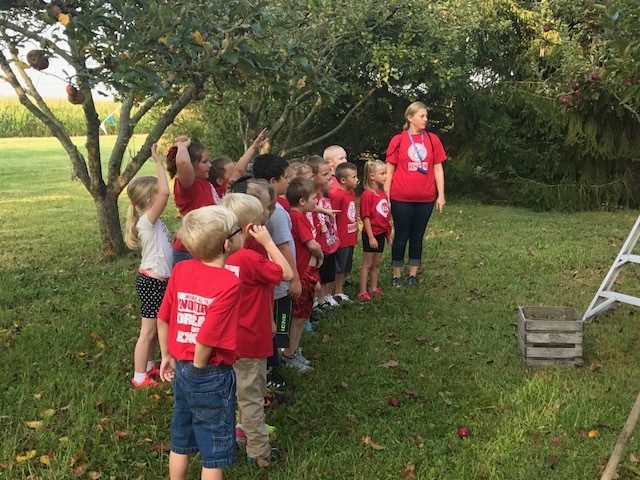 Finally, the students were able to enjoy a taste of apple cider. Yum! 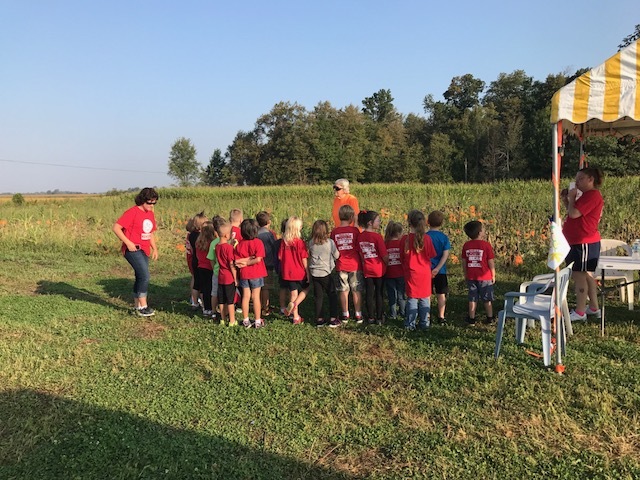 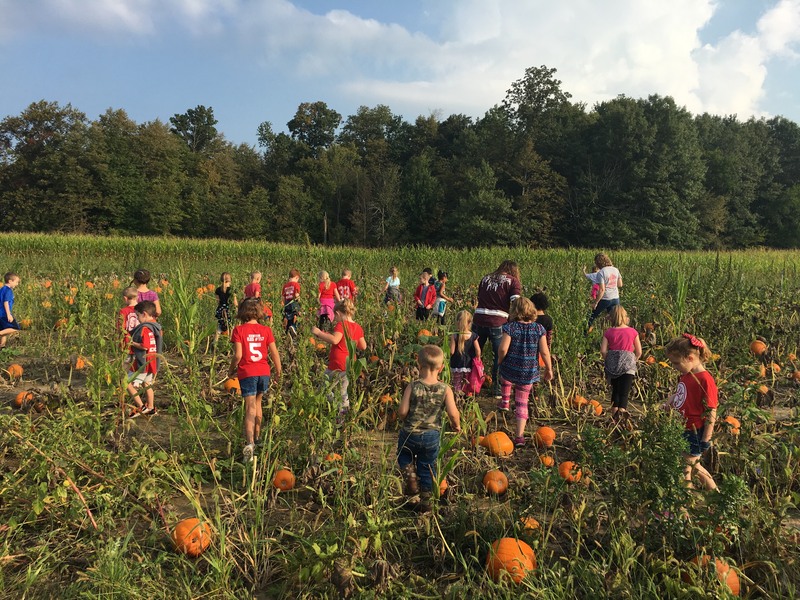 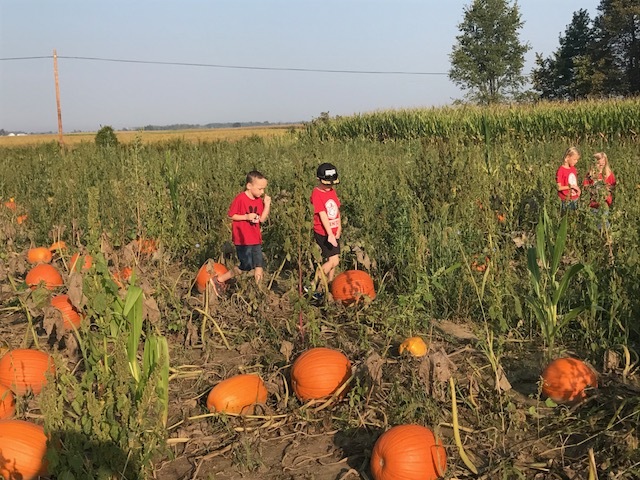 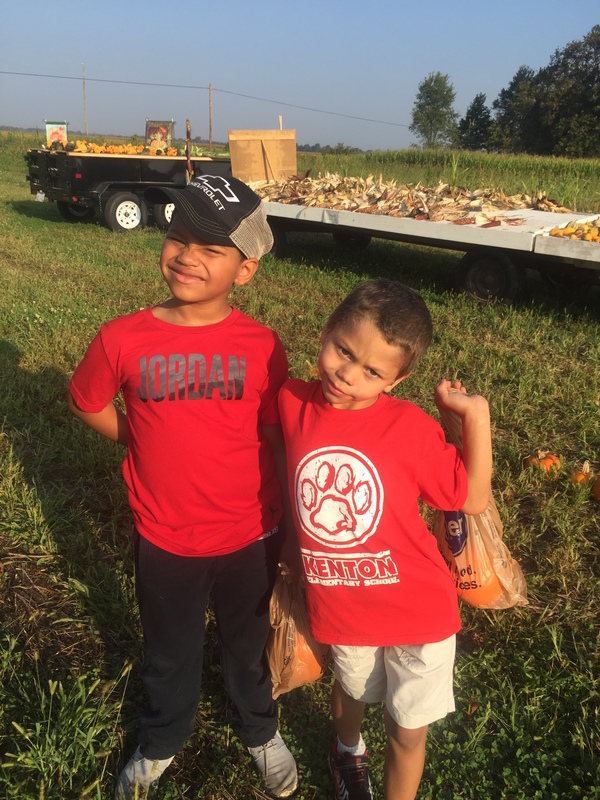 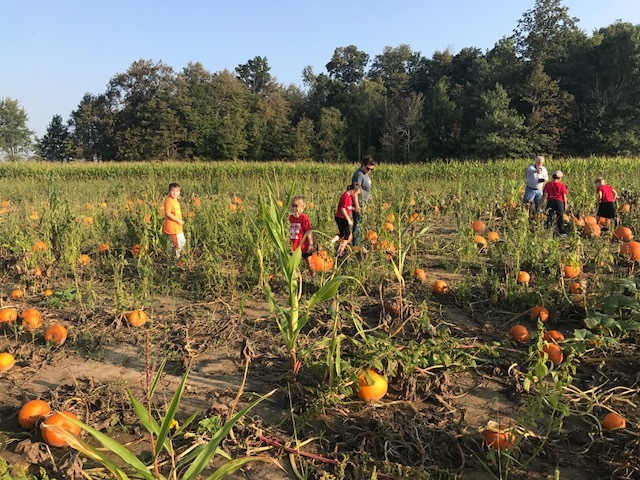 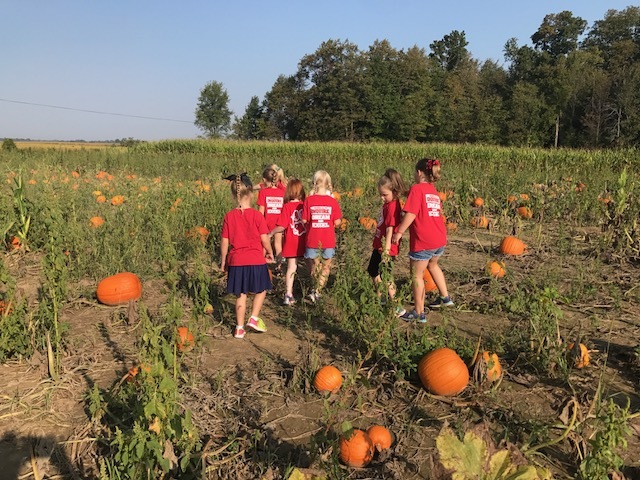 The weather for the field trip was beautiful on both days and the students had a lot of fun learning about pumpkins, apples, and bees!